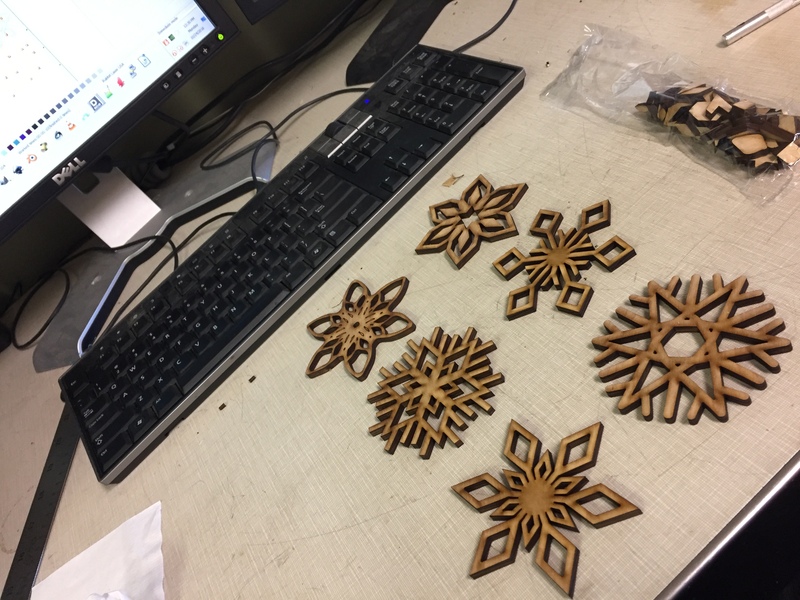 Six different laser cut wood snowflakes, in a collectors box that protects the snowflakes for storage. 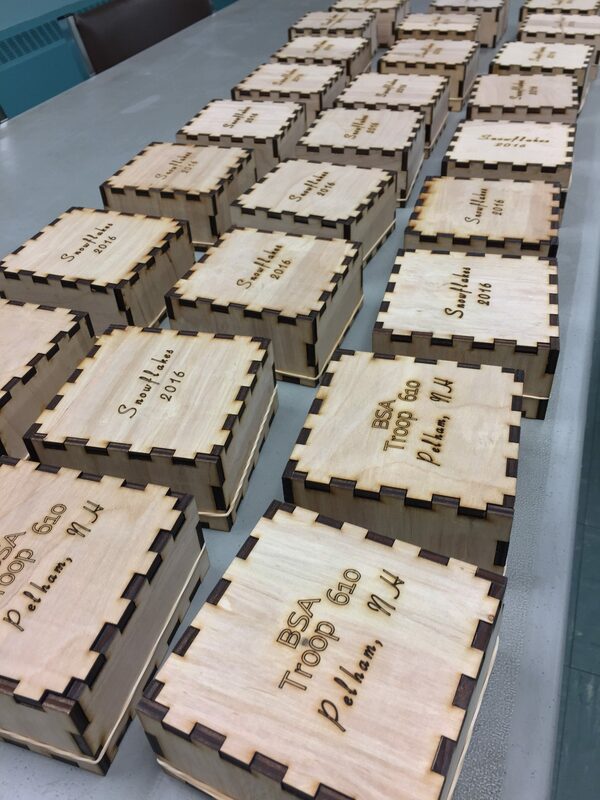 Each box is labeled: Snowflakes 2016 on the top, and BSA Troop 610 Pelham NH on the bottom. 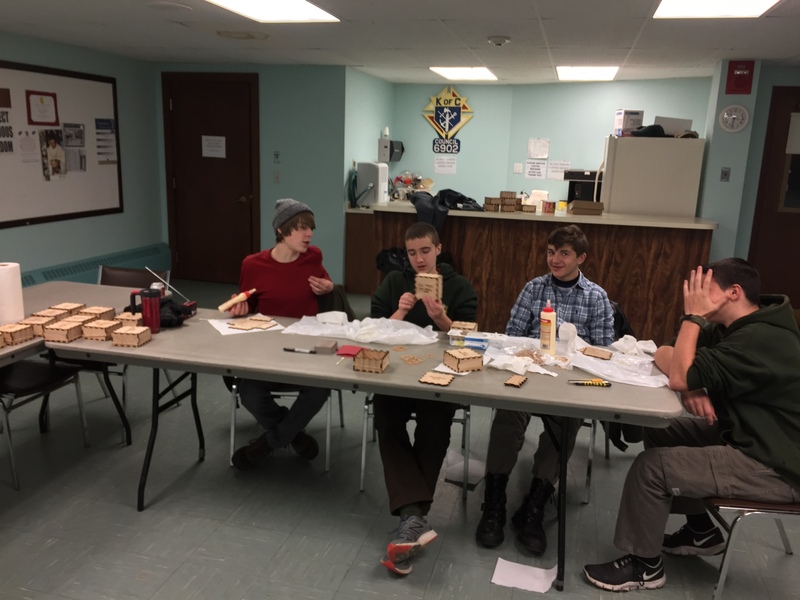 These are laser cut at Make-It Labs in Nashua, and the boys assembled the boxes. 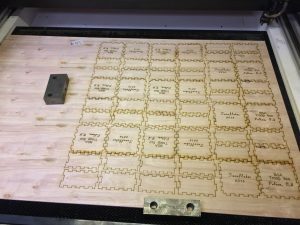 No stains have been applied, the dark edges are from the laser burning the wood to cut through it. 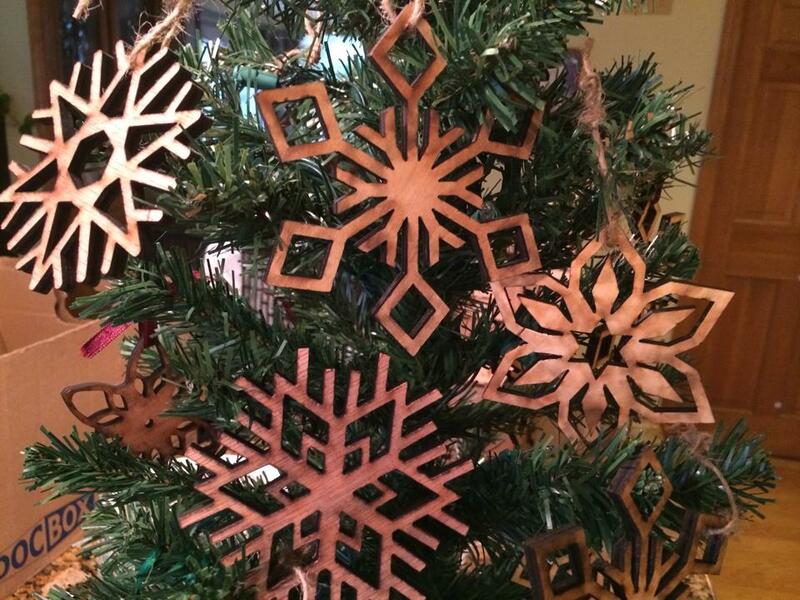 The box is approximately 4x4x2 inches…snowflakes 3-3.75″ each. 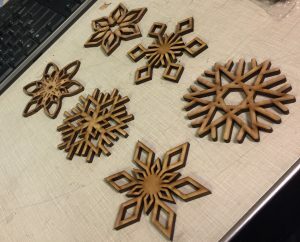 There is only a limited amount, they are fairly time consuming, but I will try to cut another run or before Christmas. 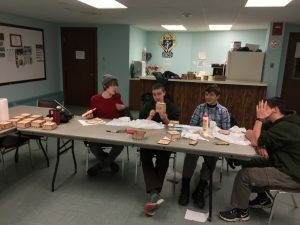 The Troop 610 boys will have the first opportunity to buy…whatever is left will be offered to the public. 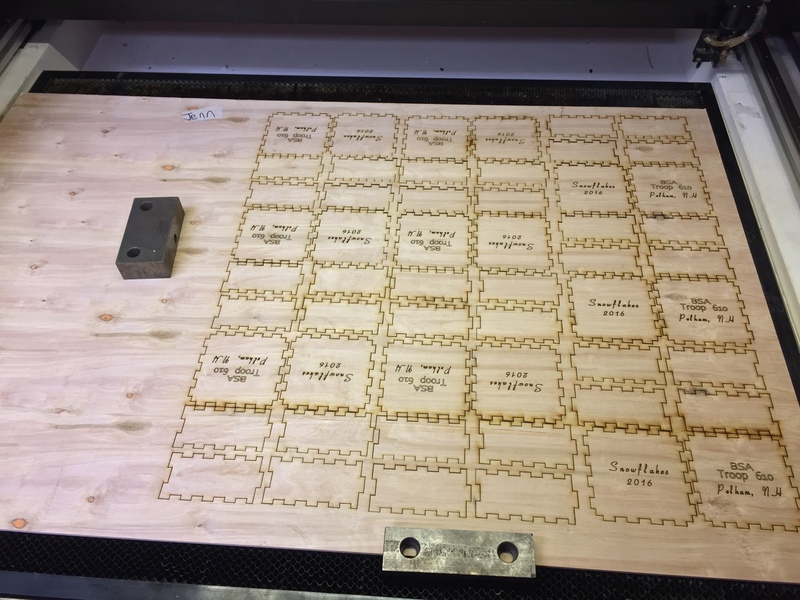 Freshly cut, still in the laser cutter. This entry was posted in Babble and tagged boy scouts pelham nh, laser cut snowflake fundraiser, pelham nh boy scouts, troop 610 pelham nh by Jennifer Cote. Bookmark the permalink.